No Afterschool Activites December 17- 20. There will be no afterschool activities or practices the week of December 17 -20. 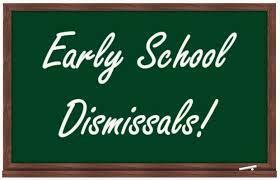 Early Release on Friday, Dec. 21 - 11:30 AM.